If you’ve never thought about using an EPUB to deliver your mobile learning, think again. EPUBs are considered by tech experts such as The Guardian’s Jack Schofield to be the best and most popular files used for e-books. What’s more, the population of e-book readers is growing, according to a 2012 Pew study. Their research showed that the number of owners of either a tablet computer or e-book reading devices such as a Kindle or Nook grew from 18% in late 2011 to 33% in late 2012. First developed by the International Digital Publishing Forum (IDPF) in 2007, most of the popular e-readers can handle the EPUB without any complications, with the notable exception of the Amazon Kindle. What’s the Difference Between an EPUB, a PDF, and a Digital Publication? In this post, I’ll explain the reasons why you should consider an EPUB for a future mobile learning project by showing you 10 key benefits you’ll be able to enjoy. First of all, EPUBs can help you during all steps in the common uses of a digital document. Martin Fenner, a technical lead for the Public Library of Science, explains that EPUBs can be used for data collection, authoring, annotating and peer review. The data collection can be great for people keen on analytics, and the annotating and peer review features benefit team collaboration. An EPUB has open source specifications that were created by the IDPF. When creating your EPUB, you can develop, publish, and maintain common standards, as well as promote the successful adoption of these specifications. These open specs can be used to check for validation and errors within any EPUB to ensure quality. When you choose to create an EPUB, you can ensure that the document is readable on a wide variety of devices and platforms. EPUBs can have many interactive features that create rich user experiences you can use with your eLearning and other interactive design and development tools. For example, audio, video, hyperlinks, metadata and numerical information can be used within EPUBs. These methods are typically associated in helping learner retention and keeping their interest while learning. Maybe you don’t need a course, after all, if you can place interactivity and media in the book? You can add digital rights management (DRM) to protect your EPUB against theft. DRM software can control the viewing, copying, printing, and altering of an EPUB. For example, if a company needs to distribute an EPUB just to employees, or if any data is collected from the EPUB, then the information can be secured against undesired access. For additional ideas on how to secure your mobile content, be sure to check out our articles here and here. An EPUB’s content can be reflow-able or fixed to each user’s needs and preferences. This upholds the mobile learning tenet of “Just In Time, Just Enough, Just for Me” by allowing the learner to read as they see fit. For example, text can be enlarged, the typeface can be changed, or it can be viewed horizontally and/or vertically on the device. In addition to training your current staff, EPUBs can help you market and grow your business through various techniques and methods. By opening a new channel of communication, you may be able to reach an entirely new group of people that are receptive of new technologies and prefer to reduce waste. For a long-term lead generation, you can plan a series of EPUB-style books you sell directly on Amazon, Barnes, and Noble, or the iBookstore. Companies and their employees can also use EPUBs to spread or test ideas for future (more elaborate) products, and train and educate employees as well as potential or current clients. EPUBs work across multiple platforms and devices. Educational technologists Drs. Cavanaugh explains that e-books can be more accommodating than paper for many readers because of features such as multi-language interactive dictionaries, adjustable text size, highlighting, bookmarking, note-taking, interactive dictionaries, and text-to-speech capabilities. All of these factors allow company employees to do their job more productively by having the ability to obtain content on any mobile device when and where they need it. As alluded to in the previous point, EPUBs and other mobile learning formats are good for the environment. Through paperless production, resource consumption and emissions will be reduced. Across the globe, billions of books are printed each year, and their production, distribution, and recycling have a significant environmental impact. As an alternative an in moving forward, EPUBs are quick to produce, and unlike physical books, they are portable. They also can be viewed without Internet access, which makes distance learning very accessible. Johnny B. Truant, a well-known sci-fi author, blogger, and podcaster, says that EPUBs can easily be passed around via email attachments rather than people sending links to each other within or outside the company, making work among employees more efficient. Companies can also utilize EPUBs to augment their website. By explaining processes and methods with greater detail or an alternative perspective, your site’s visitors – i.e., potential clients – have more of a chance to understand what it is your company does. Using a mobile device for e-books means that learners can carry a range of books with them, allowing them to have easy access to large quantities of information. Companies save money and time by not printing, collating and shipping physical books or manuals, and learners only have to carry one device. What’s to say EPUBs couldn’t improve workplace performance? They have been shown to improve student performance. Trevor Bailey explains that since digital textbooks include a number of interactive features, learner retention improves while reading EPUBs. Teachers can iterate content quickly and post-lesson documents online for students, versus relying on hard-copy materials. This allows students to obtain the content more quickly and at their convenience. After all, writer Kelly Puente wrote in an article for District Administration that schools are shifting to using e-books even as districts face questions over funding and the type of technology to use. During the 2010-11 school year, for example, a South Carolina school district purchased 206 digital books, which were accessed more than 100,000 times. EPUBs can improve skills, knowledge, and performance for employees through 24/7 access and can begin to measure a learner’s success through assessments. They can personalize learning for struggling learners and help interest young readers in nonfiction books. Finally, e-books can help employees with hearing or vision disabilities by using text-to-speech features. For instance, the Southwestern Ohio Council for Higher Education provides electronic textbooks that offer students with disabilities the chance to listen to the textbooks via screen-reading software and increase the font size on computer screens. The digital book-sharing service they used, Bookstar, allows e-books to be read aloud by computers and magnifies or spaces text differently for those who have vision problems. Readers can speed up or slow down the audio playback, and give tactile/kinetic learners the opportunity to explore the information at their own pace. Jon Noring explains that the EPUB was designed from the ground up to be optimal so that there is an accurate rendering of the content for consumers. However, an EPUB is not only for publishers and distributors/retailers. An EPUB also allows end-users to participate in conversion as their particular needs require. 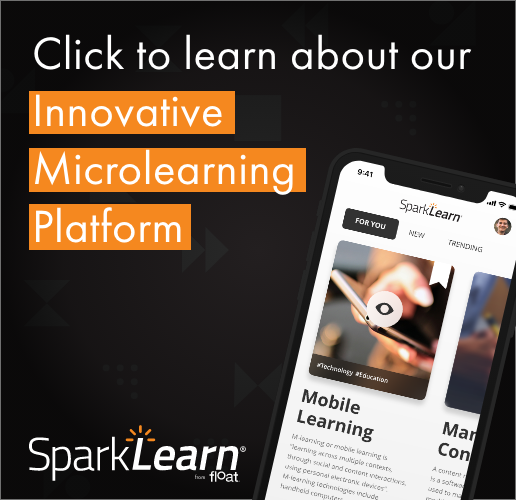 The mobile learning community must start thinking of an EPUB not as just a form of publication or for retail, but also be used as a form of mobile learning within businesses. As a result, this could be a new method for helping to train employed professionals with disabilities. Hopefully, now you understand why you should consider an EPUB for a future mobile learning project. It’s clear they can help you grow your business efficiently while simultaneously improving your employee performance. Be sure to check back to this blog soon for 10 tips you need for creating an EPUB yourself.